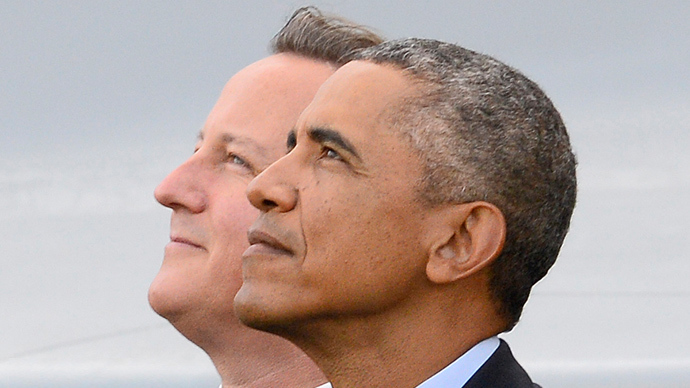 David Cameron’s relationship with Barack Obama may have just become even cozier. The UK Prime Minister says the US President now calls him “bro,” which is more flattering than the “Yo, Blair,’” that George W Bush used to say, talking to Tony Blair. The US and UK have had a so-called “special relationship” for decades, with leaders from the two countries often being on friendly terms. Margaret Thatcher remained in touch with Ronald Reagan long after they both left office. David Cameron is keeping this tradition going by being, on what would seem better-than-first name terms with his US counterpart. Cameron confirmed the revelation to the UK newspaper, The Mail on Sunday, saying: "Yes, he sometimes calls me 'bro.'" So what does the term “bro” actually mean? According to the Urban Dictionary, a popular online reference point for English slang, apart from being short for brother, “bro” is used as a friendly informal greeting between males. The PM seemed almost blushing in talking about his bond with Obama, adding: “The president has said the special relationship is stronger than it has ever been privately and in public, and I agree,” The Mail on Sunday quoted him as saying. The pair certainly like to be seen doing things together. They ate hot dogs together in 2012 while catching a college basketball game, Obama’s favorite sport, while they also took a selfie together, along with Danish Prime Minister, Helle Thorning-Schmidt, at the funeral of former South African President Nelson Mandela. The relationship would seem to be more on equal terms than Tony Blair’s “friendship” with George W Bush. The former British PM was often portrayed as a “poodle” due to his apparent acceptance to agree to any US-led initiative. It seemed as though Bush took great pleasure in this “special relationship,” as he once addressed the former Labour Party leader with “Yo, Blair,” at an international summit.